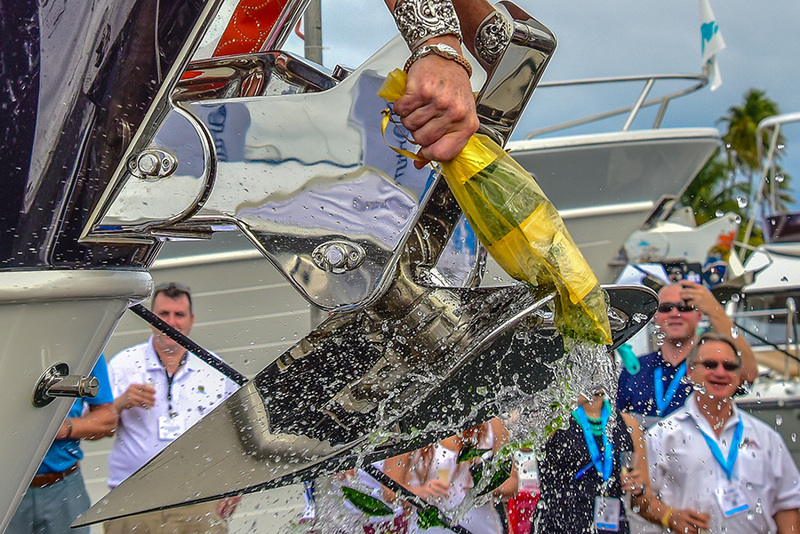 Photographed here is a sneak peak of one of our favorite moments at this year’s 2018 Fort Lauderdale Boat Show – the christening ceremony of the new 610 Motoryacht “EQUIESSENCE”. 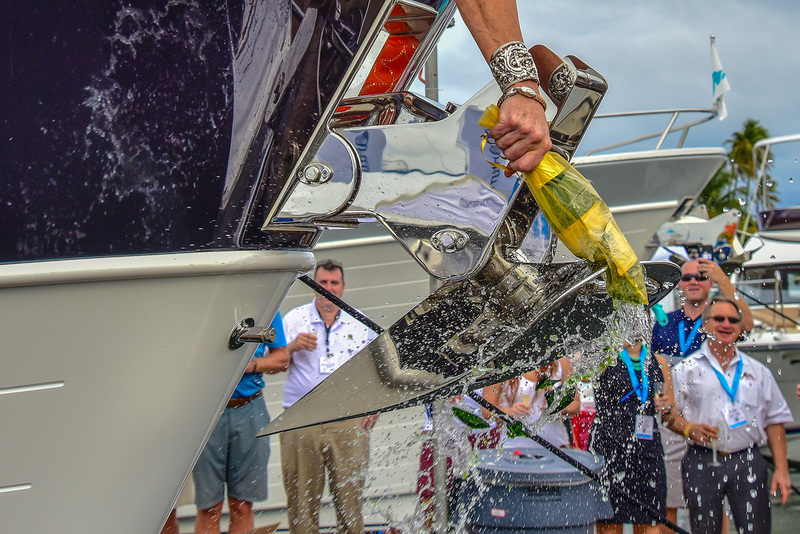 Her new owners enjoyed being surrounded by family, friends, and the Outer Reef Team during this special time. Stay tuned for more footage from this joyous occasion!